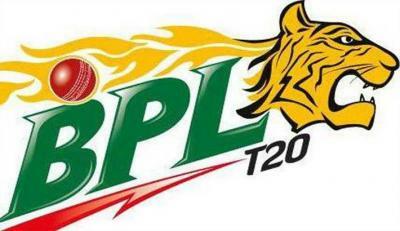 Sylhet Sixers won the toss and decided to bowl first against Rangpur Riders in the 22nd match of AKS Bangladesh Premier League T20 at Sher-e-Bangla National Cricket Stadium at Mirpur on Monday. Sylhet Sixers (Playing XI): Babar Azam, Andre Fletcher, Danushka Gunathilaka, Nurul Hasan(w), Nasir Hossain(c), Sabbir Rahman, Tim Bresnan, Liam Plunkett, Shuvagata Hom, Abul Hasan and Taijul Islam. Rangpur Riders (Playing XI): Brendon McCullum, Chris Gayle, Ziaur Rahman, Shahriar Nafees, Mohammad Mithun(w), Ravi Bopara, Mashrafe Mortaza(c), Thisara Perera, Sohag Gazi, Rubel Hossain and Zahir Khan.